If you have any questions about this Notice please contact our privacy officer ("Privacy Officer") at 847-998-0010. This Notice describes how our practice and our health care professionals, employees, volunteers, trainees, and staff may use and disclose your medical information to carry out treatment, payment or health care operations and for other purposes that are described in this Notice. We understand that medical information about you and your health is personal and we are committed to protecting medical information about you. This Notice applies to all records of your care generated by this practice. Your medical information may be used and disclosed for purposes of treatment, payment and health care operations. The following are examples of different ways we use and disclose medical information. We may use and disclose medical information about you to obtain payment for the treatment and services you receive from us. For example, we may need to provide your health insurance plan information about your treatment plan so that they can make a determination of eligibility or to obtain prior approval for planned treatment. For example, obtaining approval for a hospital stay may require that relevant medical information be disclosed to the health plan to obtain approval for the hospital admission. We may use or disclose medical information about you in order to support the business activities of our practice. These activities include, but are not limited to, reviewing our treatment of you, employee performance reviews, training of medical students, licensing, marketing and fundraising activities, and conducting or arranging for other business activities. We may share your medical information with third party "business associates" that perform activities on our behalf, such as billing or transcription for the practice. Whenever an arrangement between our office and a business associate involves the use or disclosure of your medical information, we will have a written contract that contains terms that asks the "business associate" to protect the privacy of your medical information. We may use or disclose your medical information to provide you with information about treatment alternatives or other health-related benefits and services that may be of interest to you. We may also use and disclose your medical information for other marketing activities. 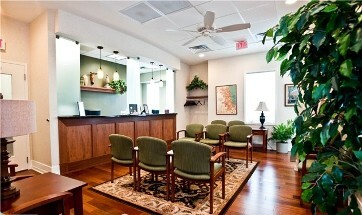 For example, your name and address may be used to send you a newsletter about our practice and the services we offer. We may also send you information about products or services that we believe may be beneficial to you. You may contact our Privacy Officer to request that these materials not be sent to you. We may use or disclose your demographic information and the dates that you received treatment from your physician, as necessary, in order to contact you for fundraising activities supported by our office. If you do not want to receive these materials, please contact our Privacy Officer to request that these fundraising materials not be sent to you. Glen Medical Associates, S.C., along with certain other health care providers and practice groups in the area, participate in a health information exchange operated by the North Shore University Health System (the "Exchange"). The Exchange facilitates electronic sharing and exchange of medical and other individually identifiable health information regarding patients among health care providers that participate in the Exchange. Through the Exchange we may electronically disclose demographic, medical, billing and other health-related information about you to other health care providers that participate in the Exchange and request such information for purposes of facilitating or providing treatment, arrangement for payment for health care services or otherwise conducting or administering their health care operations. We may use and disclose your medical information if the practice attempts to obtain consent from you but is unable to do so due to substantial communication barriers and, in our professional judgment, you intended to consent to use or disclosure under the circumstances. III. Other Permitted and Required Uses and Disclosures That May Be Made Without Your Consent, Authorization or Opportunity to Object. We may disclose your medical information for public health activities and purposes to a public health authority that is permitted by law to collect or receive the information. This disclosure will be made for the purpose of controlling disease, injury or disability. We may use and disclose your PHI for research purposes in certain limited circumstances. We will obtain your written authorization to use your PHI for research purposes except when an Internal Review Board ("IRB") or Privacy Board has determined that the waiver of your authorization satisfies the following: (i) the use or disclosure involves no more than a minimal risk to your privacy based on the following: (A) an adequate plan to protect the identifiers from improper use and disclosure; (B) an adequate plan to destroy the identifiers at the earliest opportunity consistent with the research (unless there is a health or research justification for retaining the identifiers or such retention is otherwise required by law); and (C) adequate, written assurances that the PHI will not be re-used or disclosed to any other person or entity (except as required by law) for authorized oversight of the research study, or for other research for which the use or disclosure would otherwise be permitted; (ii) the research could not practicably be conducted without the waiver; and (iii) the research could not practicably be conducted without access to and use of the PHI. This means you may inspect and obtain a copy of medical information about you that has originated in our practice. We may charge you a reasonable fee for copying and mailing records. To the extent we maintain any portion of your PHI in electronic format, you have the right to receive such PHI from us in an electronic format. We will charge no more than actual labor cost to provide you electronic versions of your PHI that we maintain in electronic format. 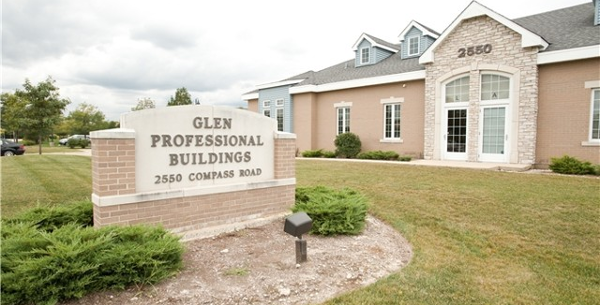 After you have made a written request to our Privacy Officer at Glen Medical Associates, 2550 Compass Road, Suite C-D, Glenview, IL 60026, we will have thirty (30) days to satisfy your request. If we deny your request to inspect or copy your medical information, we will provide you with a written explanation of the denial. (c) Glen Medical Associates, S.C. is not required to agree to your request. If we believe it is in your best interest to permit use and disclosure of your medical information, your medical information will not be restricted; provided, however, we must agree to your request to restrict disclosure of your medical information if: (i) the disclosure is for the purpose of carrying out payment or health care operations and is not otherwise required by law; and (ii) the information pertains solely to a health care item or service for which you (and not your health plan) have paid us in full. If we do agree to the requested restriction, we may not use or disclose your medical information in violation of that restriction unless it is needed to provide emergency treatment. Your written request must be specific as to what information you want to limit and to whom you want the limits to apply. The request should be sent, in writing, to our Privacy Officer. (e) You may have the right to have Glen Medical Associates, S.C. amend your medical information. If you feel that medical information we have about you is incorrect or incomplete, you may request we amend the information. If you wish to request an amendment to your medical information, please contact our Privacy Officer, in writing to request our form Request to Amend Health Information. In certain cases, we may deny your request for an amendment. If we deny your request for amendment, you have the right to file a statement of disagreement with us. This applies to disclosures for purposes other than treatment, payment or healthcare operations as described in this Notice. It excludes disclosures we may have made to you, family members or friends involved in your care, or for notification purposes. To receive information regarding disclosures made for a specific time period no longer than six (6) years and after April 14, 2003, please submit your request in writing to our Privacy Officer. We will notify you in writing of the cost involved in preparing this list. To the extent we maintain your PHI in electronic format, you may request an accounting of all electronic disclosures of your PHI for treatment, payment, or healthcare operations for the preceding three (3) years prior to such request. Other uses and disclosures of your medical information not covered by this Notice or required by law will be made only with your written authorization. For example, most uses and disclosures of psychotherapy notes; PHI for marketing purposes; that constitute a sale of PHI and other than those described in this Notice, require authorization. You may revoke this authorization at any time, except to the extent that our practice has taken an action in reliance on the use or disclosure indicated in the prior authorization. You may complain to us or to the Secretary Of Health and Human Services if you believe your privacy rights have been violated by us. You may file a complaint with us by notifying our Privacy Officer in writing. We will not retaliate against you for filing a complaint. We encourage you to sign up with NorthShoreConnect, so that there is a HIPAA-compliant secure electronic way of communicating.